The 7th edition of the Flame Awards has been announced by RMAI (Rural Marketing Association of India), to recognize excellence in rural marketing, promotion, and initiatives. 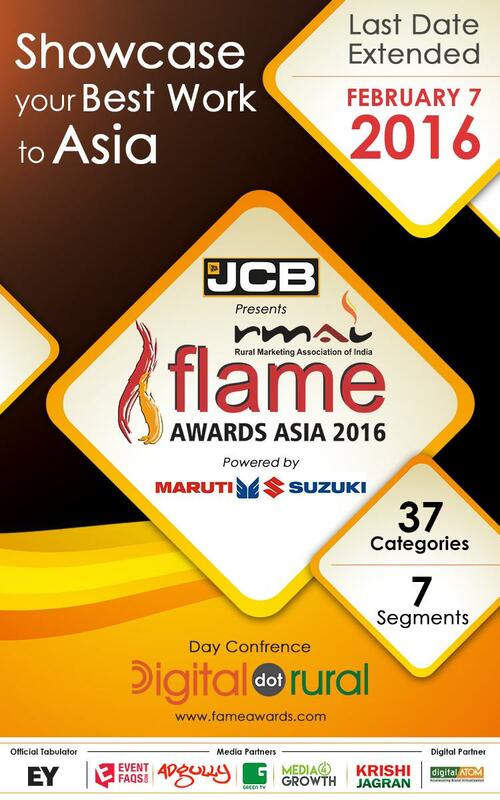 For the first time, Flame Awards Asia 2016 invites entries from India as well as our immediate neighbours in the sub-continent. The awards presentation ceremony will be held at Vivanta By Taj in New Delhi on Mar 11, 2016.